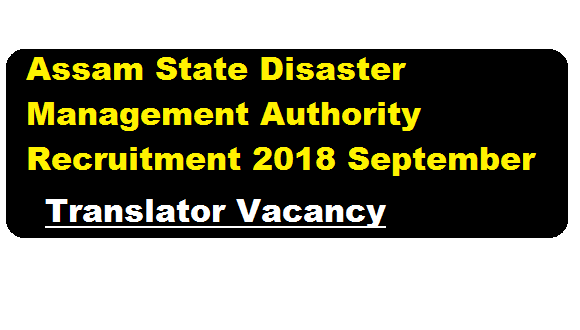 In this section, we will discuss in details about the recruitment of Translator under Assam State Disaster Management Authority Recruitment 2018 September with vacancy details, eligibility criteria, salary with other details and requirement. Interested and eligible candidates may appear in the walk-in interview. Details of Walk-in interview is given below.